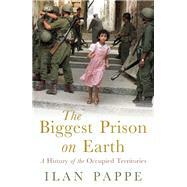 Following his critically acclaimed investigation of the ethnic cleansing of Palestine in the 1940s, renowned Israeli historian Ilan Pappe turns his attention to the annexation and occupation of Gaza and the West Bank, bringing us the first comprehensive critique of the Occupied Territories. Based on groundbreaking archival research, NGO records, and eyewitness accounts, Pappe's investigation of the "bureaucracy of evil" explores the brutalizing effects of occupation, from the systematic abuse of human and civic rights, the IDF roadblocks, mass arrests, and house searches to the forced population transfer, the settlers, and the infamous wall that is rapidly turning the West Bank into an open prison. Providing a sharp contrast with life in Israel, this is a brilliantly incisive and moving portrait of daily life in the Occupied Territories. Ilan Pappe holds the chair in history at the University of Exeter and is the academic director of the Research Institute for Peace at Givat Haviva and the chair of the Emil Touma Institute for Palestinian Studies, Haifa. He is also the author of the best-selling A History of Modern Palestine. He lives in Exeter, U.K.